Today is Howard's birthday so I gave him a souvenir menu from when Hildegard played the Buffalo Statler Hotel. Above is a picture of the menu! Observe the tassel. They had the wildest appetizers. You could not find them now! "And the lady will have the herring marinated in sour cream." Imagine saying that. Someone would probably faint. Howard has gotten into the habit of ordering for me because that is what Leonard Pennario used to do and I told Howard about it. Pennario would find out what you wanted and then he would tell the waiter. That is the proper way to do things and it is the way people operated in the 1940s and 1950s. In the era when Hildegard played supper clubs. It must have been fun to go out on dates back then! Do click on that link I just gave you. It is of a brand-new video someone just posted on YouTube of Pennario's "Midnight on the Cliffs," which became the soundtrack to the 1960 movie "Julie." Speaking of that bygone era I also gave Howard this menu from a historic restaurant on Main Street that my mother remembers. What treasures! What a haul! I found these menus at the same sale where I found the autographed picture of John Gilbert. It has been terrible to have to keep them secret for all this time! Such excitement yesterday surrounding that picture of Leonard Pennario at Kleinhans Music Hall in 1966! Check out the comments. The knowledge that is out there in Blog-O-Land, it is unbelievable. Remember when there was that mysterious yacht and someone came forward with an answer as to whose it was? How about the information we have gleaned about Peter Piccolo? It all goes to show, you put a question out there, someone will have the answer. 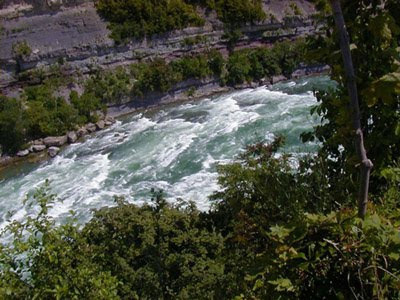 Which brings me to the matter of the snake my brother George saw walking along the Niagara Gorge the other day. I hate to bring up something so terrible on this Web log but George saw this snake lying alongside the path. It was just hanging out and apparently did not slither into the bushes as most snakes would do. That is what George said. He took a picture on his 'phone and showed it to me but I did not look at it too closely because I am squeamish. I will have to get him to send me the picture though because from what I saw of this snake it was not the kind of snake you normally see around here. I hope I do not see it, that is for sure. I freak out if I even see a worm! But I sat and listened agog as George told me about this snake. It was dark-colored and looked to be at least six feet long and at least six inches around. After seeing the snake George collared a passing hiker. "There's a snake 100 or so steps up ahead," he said. Then he told me, "I basically took him by the hand and made him go look at it." The hiker said, "Well, it's not a rattlesnake." But beyond that he knew nothing. 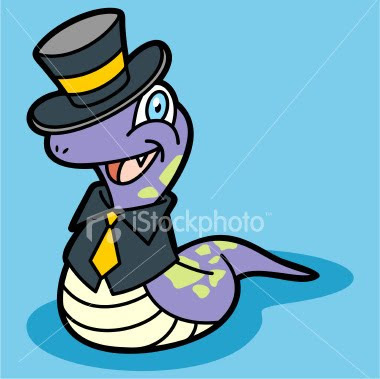 Would anyone else be able to hazard a guess as to what this snake is? I would hate to have some nasty new breed of snake moving into this area thanks to some new government program or other. Up till now, if you saw a snake, you could be sure it would not hurt you. ... and know that that snake is out there somewhere. I will not venture there until further notice. I have had my abject moments at the gym but this week I hit a new low. We were in the middle of Pilates and the teacher stopped the class to say, "This is a good time to get a drink of water." And I just sat there. I do not need water and I do not bring it. Then she tells everyone to get up. And everyone gets up. Except for me! I am lying there like a dead person. Finally everyone else is ready to go and the teacher says: "Mary, are you going to get up?" Into the mic! With everyone listening! 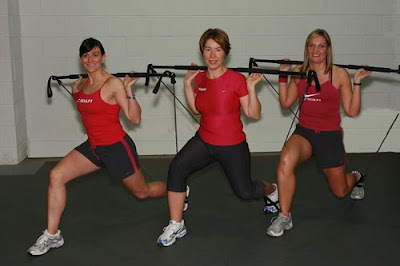 Then at Mini Body Sculpt -- that great name -- the next day, things got worse. You have to assemble these steps out of components stacked by the side of the room. I have done this a thousand times. I know how to do it. But I got into class late and so I was trying to put the step together in the middle of the class and I do not know what was wrong, I just could not do it. I am sitting there like Jerry Lewis surrounded by blocks and boards. So the Mini Body Sculpt teacher comes over and starts building it for me, while I am just sitting there helplessly. And everyone in the class starts laughing. I think I was laughing harder than anyone. What's worse, through the rest of the class I could not stop giggling about it. The music at the gym cracks me up. I wish we could work out to Leonard Pennario but that is me. Our Pilates class always begins with Ben Lee singing this song. I have gotten affectionate in spite of myself for Ben Lee and his monotonous style. It is sort of comforting. I remember tough times in my life when I would stop the chaos and come to the gym and do Pilates and there would be the wooden floors and the high ceilings and the stretching and Ben Lee singing this silly song. Then he sings this other monotonous but likable song. Isn't this fun, this window into my gym experience? Pilates is prettier than Body Sculpt. In Pilates you get to kind of pretend you are a dancer. My friend Gary who teaches dance at Niagara University, he says that dancers have used Pilates exercises for decades. The stance they put you into is the same you use in ballet class, with your knees and your toes turned out. Body Sculpt is uglier. There is a lot of "Squat" and "Squeeze." That picture at the top of this post is of Body Sculpt. We do that! Today at Body Sculpt we had to listen to Gwen Stefani singing "If I Were a Rich Girl." I just looked it up and that was who it was. Ha, ha! It is funny listening to that video clip that they are fine as long as they are singing the song from "Fiddler on the Roof." Then they can't match the melody so it just drops into this same-old same-old monotonous rap-like stuff you always hear. Can you believe what passes as music? I mean, sometimes I can smile at it and not be crabby about it and even get affectionate about it. But still. I feel so sorry for people going through their whole lives not hearing this. Here is a Japanese guitar version of that song. I would like to do Pilates to that song. Maybe I would find it easier to get up off my mat. My Facebook friend Elizabeth Martina sent me this beautiful picture. 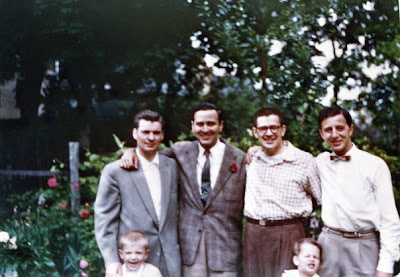 It is of Leonard Pennario with his brother Joe and his godparents' sons, in what I am imagining is a Buffalo back yard. That is Pennario second from left, looking great. The good-looking man on the far left is Chuck Martina who was at the Buffalo Music Hall of Fame awards ceremony where I met Leonard. In the picture I recognized him right away. Chuck Martina is the uncle of my Facebook friend Elizabeth Martina. one of the first times we talked on the phone and I remember him laughing about it. Pennario was the greatest because you see that smile in the picture? He always did have that attitude. When you talked to him you felt you were talking to a young man. You know who else was like that? 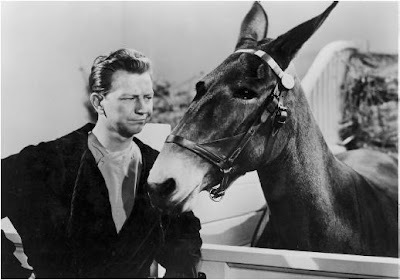 Donald O'Connor. I called him on the 'phone once and he sounded just the way he did in "Singing in the Rain." Which startled me. I had not expected that! I was kind of looking at the 'phone receiver, the way you do when you are puzzled. I mean, here this guy was in his 70s and he had that smart-aleck voice. Dear Donald O'Connor. When we hung up he said, "God bless you, Mary." And I had not even sneezed! I said, "God bless you, Mr. O'Connor." I think that is what I said. Who knows what I said. These sweet old men. They will break your heart! With the exception of Ted Kennedy. You know what bugs me about coverage of Ted Kennedy's passing? How everyone talks about "a life dedicated to public service" and "a deep commitment to public service." Forget that term "public service," you know? Call it politics, which is what it is. It is not a self-sacrificing occupation like being a priest or a nun or something. 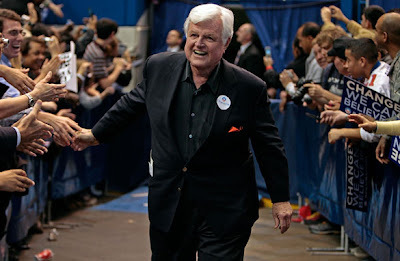 Ted Kennedy did not lead a life of self-sacrifice as far as I can see. 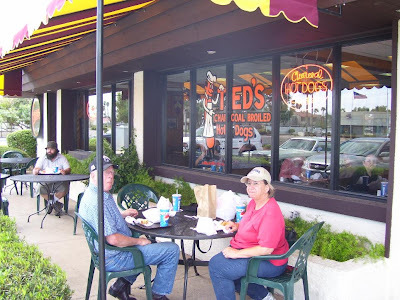 What about Ted's Hot Dogs? Are those classic Buffalonians in that picture or what? Oh, dear. The morning is passing and son of a one-eyed sea cook! This Web log is going nowhere fast. This is what happens when I start looking at pictures of Pennario. My confessing yesterday that I went to confession got a bunch of funny comments on Facebook that I got such a kick out of I copied them onto the Web log. I confess I do that sometimes because on Facebook the comments disappear and I like to keep them and remember who said what. 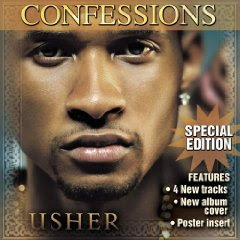 "I confess." There I go again! How about that priest yesterday? My friend Michelle, the owner of yesterday's hip phone, thought he was Montgomery Clift. I wonder what movie that is from. It sounds like a movie I should see! 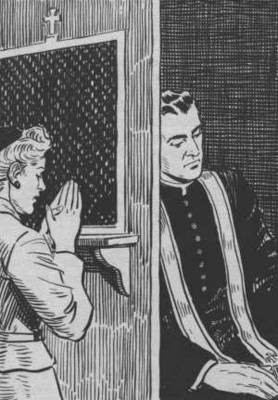 The one thing I did not get around to confessing yesterday is that there is funny etiquette involved when you go to confession and you are dealing with a priest whom you know. When you go to confession you can go to a church where nobody knows you and be anonymous. Usually that is what I do. Well, I do run the risk at St. Michael's of running into that priest I see at parties. But it is not as if he knows me or anything. On Monday for a variety of reasons I thought I should go see Father Secondo because he could better understand the kettle of fish I was in -- to use a Laurel and Hardy expression I love. The bulletin said confession was after 8 a.m. Mass. There are only three people at Mass, me being one, and when it ended, the padre walked off, exit stage right. And I am kneeling there, wondering, what next? Does he come out again? Do I have to go back there and get him? If I had to I was ready to do that because as I mentioned this was an emergency situation. I had never been to confession at St. Anthony's. I did not even know where the confessional was. Then this guy who had been in one of the front pews seemed to have business with the priest. He gets up and I hear him offstage telling the padre something like, "I can do it now." And I am in my pew mimicking him. "I can do it now." Finally the priest walks out and I am able to collar him. I asked if he was, uh, hearing confessions. He sized up the situation and he walks to the back of the church and I follow him. And there is this confessional there. Father Secondo wordlessly opens the one door and goes in and closes the door. And he switches on the light in the box next to him and that is my signal to walk in which I do. So, even though we know each other, there is this anonymous feeling. And we do the confession. 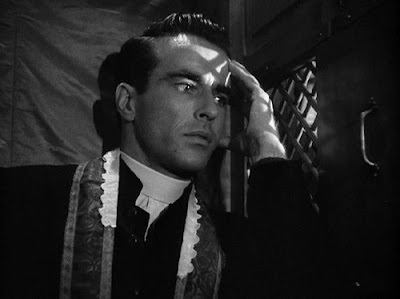 Which, as I may have said before: If anyone out there is the way I used to be, I mean, you are Catholic but you have not been to confession in decades, do what I did and go back. Just do it. Be brave. Go. I am serious. Here you are going through your day and suddenly there is this slice of the 10th century. Plus there is nothing like hearing those words: "I absolve you of all your sins, in the name of the Father, and the Son, and the Holy Spirit." Honest, on Monday, I was feeling awful. You know in your heart when you have screwed up majorly and that is how I felt. Everything was so much better when I walked out. Speaking of walking out, modern etiquette rules do not cover 10th century matters. So I was wondering what was going to happen when my confession was over. When we emerged from the confessional, would Father Secondo and I socialize the way we sometimes do after Mass, yak about this and that? I soon learned the answer to that one. I heard his door open and I heard him walk out and I knelt there for a minute to be polite. Then I opened my door and walked out. And the padre is just puttering around, doing priest stuff, not acknowledging me. So I took the hint and went to a pew to say my prescribed five Hail Marys, not a bad penance considering the stuff we had just gone over. It is funny how every time I go to confession the experience is different. Perhaps next time I will go to Holy Angels where Leonard Pennario went. Perhaps I will go to Fourteen Holy Helpers. It is always an adventure! What a day I had yesterday! Without going into detail it began at 8 a.m. in the confessional of St. Anthony's Church. That is a dramatic way to begin your morning! All these suits walking past on their way to their City Hall jobs and there I am kneeling in this squeaky old confessional. Perhaps Leonard Pennario had knelt in that same confessional. I wondered about that. But I decided that by the time he was confession age his family had moved to Holy Angels. That is where he went to school. What was I doing thinking about Pennario? I was supposed to be thinking about my sins! So that was how my day started, with confession. How I wound up there is a story I might share some day but today I do not know where to begin so all I will say is I felt a lot better when I walked out, trust me on that. Mass and confession are a beautiful and dramatic way to begin your day! There was also beauty at the end of my day because I went to my friend Michelle's house and that is where I beheld this telephone set-up. Isn't that unbelievable? I got tears in my eyes when I saw it. A table made for a 'phone! With a space just wide enough for a 'phone book. Yesterday I think I forgot the apostrophe for 'phone. That will not happen again! And that thingie over the 'phone, at first I thought it was a light. But it is not! It is so if you have to call someone to the 'phone you have a place to rest the receiver. As my new friend Ryan pointed out I still have a long way to go before I can take myself seriously as a vintage 'phone collector. Wow, I wish I had a table like Michelle's. Not to mention that 'phone! Originally it had the four prongs and she had to send it away to get it fixed up so she could use it! I am guilty of 'phone envy! Thou shalt not covet they neighbor's vintage 'phone and yet I am doing so. And me just out of the confessional. Yesterday's account of going to the garage sale and buying that phone from the woman who did not want to talk about Leonard Pennario has elicited all kinds of interesting breakthroughs. One of the best messages I got was from my Facebook friend Ryan Lysarz. I do not know Ryan Lysarz. I do remember "friend"-ing him on Facebook but I saw that he was about 20 years old and atheist and I did not know that he and I would have this big overriding thing in common: a love for vintage phones. Congratulations on your purchase of a rotary phone. Just be careful, because they can be addictive. The first step is always the beige model 500 desk phone. Then you realize you also need a rotary wall phone for the kitchen. A princess phone for the bedroom. One of those rotary trimline phones for the living room. Don't even get me started on all of the available colors. Soon, like me, you'll have an entire collection. Or perhaps not. I wrote back to him something like "Ryan, you sound like someone out of the movies." Which is a big compliment coming from me! When I met Leonard Pennario I thought he was like something out of the movies. He was! It's not a huge collection, only about 10 or so. When I see an interesting phone that's inexpensive, I buy it. That doesn't happen often, because 90% of the rotary phones at yard sales and thrift stores are the same model and color that you bought. Oh, and I hope I don't sound like I'm out of a movie about a crazy person.! Howard and I were laughing about what it is in human nature that makes us collect stuff. Well, it is in the nature of animals too. Dogs squirrel away bones. Squirrels squirrel away acorns. 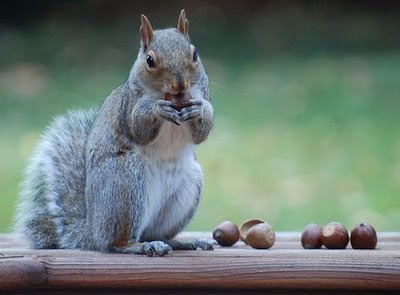 It is funny how the word "squirrel" has become a verb, meaning to hoard. Remember the doctor who squirreled away performances of that Liszt piano sonata and had something like 350 of them and needed Pennario's first recording? I was glad to have contributed to what I can see is one of the world's great collections. Now I am inspired by Ryan to new heights. I must get a princess phone! So anyway, there I was yesterday, with my mom at this garage sale. 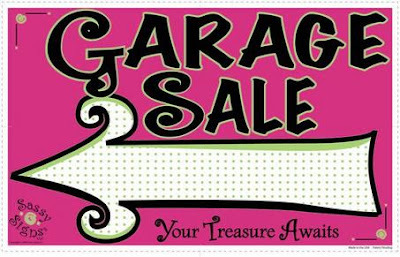 The garage sale was on Berwin Drive off of Getzville. When I go garage-saleing with my mom we always go out Amherst-ways even though if you ask me the stuff in the city is more interesting. This street sale is winding down and this woman is sitting there with a few tables of stuff left and a dial telephone caught my eye. 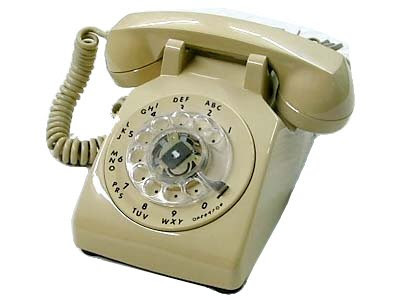 I start gabbing with my mom and saying that this phone would make it easier to interview people for the book, because the phone I am using now, the sound is kind of weak and if Howard walks into the room and steps on the creaky floorboard I am in trouble. The woman was listening and asked me what I was writing my book about. Which, I love that. Remember the Peace Bridge incident? But I do not say Leonard Pennario's name right away. "An old concert pianist," I said. She did not ask who. Instead she said, "I'm a concert pianist." "You are?" I said. I was disappointed that she had not asked who my pianist was, because she was an older woman and I figured she would know him. But I introduced myself and said I wrote about music for the paper. Now it is suddenly my mom who is bugged because Leonard Pennario's name has not been mentioned. She is catching it from me! So she horns in and says, "I am Mary's mother and she is writing a book about Leonard Pennario." And it is as if the woman did not hear her! She just started gabbing about this one pianist coming to Kleinhans Music Hall this season. And my mom stepped in again. "Have you heard of Leonard Pennario?" she asked the woman. Son of a chowder-slinging sea cook! I was dying! "Yes, I know the name," the woman shrugged. "Now, about Roman Rabinovitch..." Roman Rabinovitch is the pianist coming to Kleinhans. He is coming here in November. I am used to this kind of thing. I know this type, I mean this woman's type. My brother George have a long-running joke about these people. All they want to do is talk and they do not care what you have to say. George and I always used to encounter these types in music situations. Music people are tremendously guilty of this. Someone would just want to talk about concerts he had heard and that was it. No conversation. ... in Saratoga and blah blah blah..."
That is what the person might say. 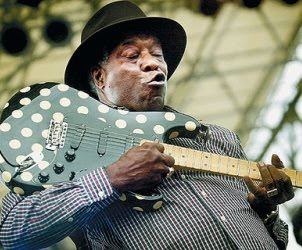 After a few minutes you might say: "Buddy Guy came to Buffalo. I got to interview him --"
And honest, you could say anything outlandish about Buddy Guy you could dream up. You could say you were his authorized biographer. You could say you had his child! And still the person would go on yakking and yakking and not registering that he even heard you. That is the way this type is! In this case though, this woman had no interest in talking about Leonard Pennario one bit! My mother also said later that she thought it was odd the woman did not appear to know my name. That never surprises me, I told her. Strange as it sounds just because you write about music for The Buffalo News does not make you this superstar and if there is one thing I have learned on this job, which admittedly is doubtful, it is never to be surprised when people have no idea who you are. I politely did ask this woman her name and she told me but alas and son of a sea cook, I have forgotten it. I admit, I did not try too hard to remember it. Still. Every time I dial a number on my new phone I will think of this woman who did not want to talk about Leonard Pennario. The phone looks exactly like the one in the picture at the top of this post. It is made by Western Electric! Howard and I turned it over to check. We hooked it up and then we took turns calling it from our cell phones just to hear it ring. You do not realize how much you miss this sound until you hear it again. Heavens! I am reading this right now on a British nostalgia site: "The Model 500 Phone is a classic American telephone, becoming the most extensively-produced telephone model in the industry's history." The price on theirs? "From 49 pounds." I am not sure how much 49 pounds is but I believe it is more than $3 which is what I paid. So I made a good buy. Even if that mean woman did not want to talk about Leonard Pennario. Today for the first time this summer I slipped out of the house before Howard was awake and I went to the Clinton-Bailey Market. Well, I went with Howard's blessing. He wanted me to go to James Desiderio's which is around the corner from the Clinton-Bailey Market because yesterday he got his hair cut at the Ellicott Square Hair Salon and Sam, the salon's owner, told him that if you can get to James Desiderio's before 9 a.m. on Saturday you can buy figs cheap. But if you get there after 9 a.m. it is too late! So Howard had these visions of figs and he asked me to go get them. Therefore this morning I was up at 6 a.m. as usual to work on my book and at 8:40 I was in my car, headed to James Desiderio where these figs were to be had. It was a funny feeling because my mind was still in 1941 which was the year of Leonard Pennario's life I had been working on. Alas, no figs. They did not have them today! Perhaps they had them in 1941 but not now, zut. So I walked over to Clinton-Bailey. Everything looked so beautiful and that is where I took the above picture. In this picture you can see in the background the mighty Niagara Frontier Food Terminal! 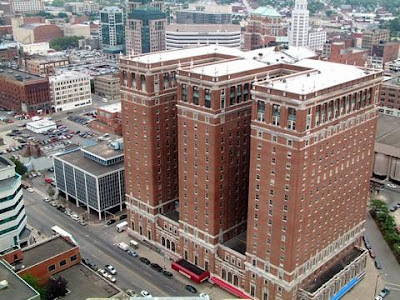 It is one of a historic set of art deco 1930s industrial buildings that we in Buffalo gloat over. This one farmer had the most beautiful beets and everyone kept stopping to say "Aaaah" and gaze on them with delight. Even people who would not normally buy beets were stopping and asking about them, and many conversations sprang up about how to cook them. The beets were only $2 a bunch. Who could resist them? Not I! 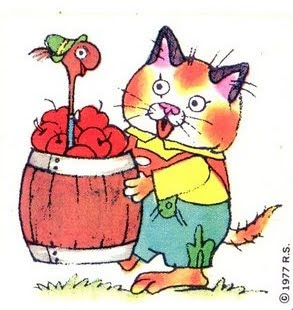 I ran into my brother George and he and I split a big basket of tomatoes. We were going to pay $10 but then we looked around and found the same size basket for $8. We started toward that basket when this older woman stopped us. "There's a black man down that way selling them for $5," she said, pointing. Ha, ha! That is so Buffalo. She did not mean any race business. As the late Michael Jackson put it, it don't matter if you're black or white. She just wanted us to be able to identify the farmer selling the $5 tomatoes. George and I went and found the black farmer and sure enough, his tomatoes were only $5 and that is what we bought. Alas, this plant was not for sale. But ah! What peachy peaches! Even plain potatoes can be beautiful. I love the shadows they cast. When I had bought pretty much everything at the Clinton-Bailey Market I crossed the street to the art deco buildings I mentioned and shopped at Willowbrook. Here is something nice about Willowbrook. They were playing great music, in the store and piped outside. 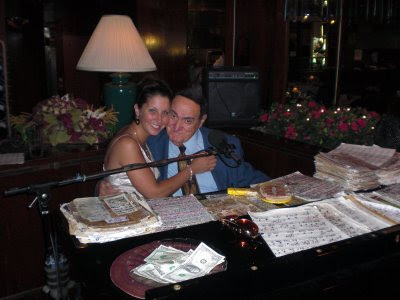 It was a jazz pianist, playing "Easter Parade" and "Cheek to Cheek." They were playing "Alexander's Ragtime Band" when I took this picture of the trim on the building which I admired. Then I took this picture of the Willowbrook building. Why do people go to supermarkets? This is so much more fun. Yesterday I went to the Hertel Farmers Market and let me tell you this, they came running out to my car when I was leaving to tell me they overcharged me a couple of bucks for my squid. Would they have done that at Tops or Wegmans? I ask you. Thank you, farmers, black and white! Thank you, Clinton-Bailey Market! After leaving the market I went home and ate beet greens and Swiss chard and then I went garage-saleing with my mother. There is a story I have to tell about this woman on Berwin Drive off Getzville who did not want to talk about Leonard Pennario. In an effort to get my act together I have been getting up every morning this week at 6 a.m. Above is a picture of me getting up! I am wafting through my days. The idea is that I work on the book for an hour and a half. By 8 a.m. I have to have knocked it off even though that is difficult for me. You know me, I start talking about Leonard Pennario, I want to continue talking about Leonard Pennario. Then there are other things I have to take care of including mopping up the puddles of water the fridge throws all over the kitchen floor, figuring out what to wear, and packing Howard's and my lunches. Every morning that I get behind in my schedule an inquest follows the way an inquest follows a plane crash. I dig up the black box and try to figure out what went wrong. One morning it was the lunches that tripped me up. I thought everything was ready but I had not counted on washing lettuce or finding containers. Zut alors! That zut alors is for my Facebook friend Justine who sent me a private note telling me I say that too much. Two words, Justine: Zut. Alors. Another time I took too long rambling along on this Web log. I could not help that! Yammering away on the Web log is fun. Another time I put on and then rejected 45 outfits without finding anything I wanted to wear to work. That is usually the situation and something must be done. However there have been triumphs too! I made it to the gym twice this week including one session of Mini Total Body Sculpt. That is a class title I love. I love the concept of "mini total." The book is zooming along. This being Thursday I have to get creative if I am going to knock both these things off before the week is up. 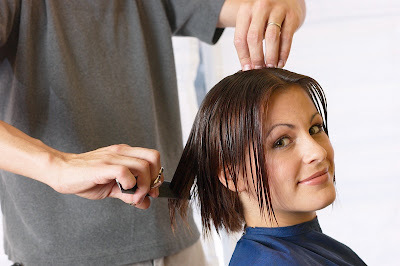 Can I get someone to cut my hair while I am in the confessional confessing? That is an idea. The one gal at the Ellicott Square Hair Salon who cuts my hair talks practically no English so that could work. I mean, she would not understand any of my sins. Perhaps the priest could come into the hair salon and we could do face-to-face confession while I am getting my hair cut. I do not think there is a law that you have to be in a church. You see, this is what happens when you get up at dawn five days in a row. You learn to think outside the box! You would not believe what Howard just did. He signed on to his computer in his sleep! I was sitting here just now and the computer gives this beep and this box pops up announcing, "Howard had just signed on." But Howard is still in bed! I just walked in and checked. He was lying there on his side wrapped in the sheet with his arms folded and his breathing apparatus on. Howard wears a breathing apparatus because he has sleep apnea. Sleep apnea is when you stop breathing for short periods of time. 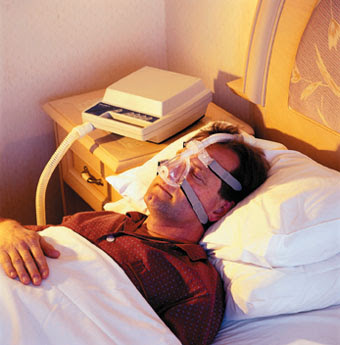 Here is a picture that shows a sleep apnea mask although that is not Howard in the picture plus our house is way messier than this one. I wonder if Howard is accomplishing things online in his sleep. I would not put it past him, I will tell you that right now. How can I learn to do that? I want to wake up in the morning and have Chapter 9 done, the one about when Leonard Pennario is 17 and writes "Midnight on the Cliffs" and goes to play it for Vladimir Horowitz. I want that chapter sorted out and organized and footnoted. I want to be able to do that while I sleep. This getting up at dawn, it is really for the birds! 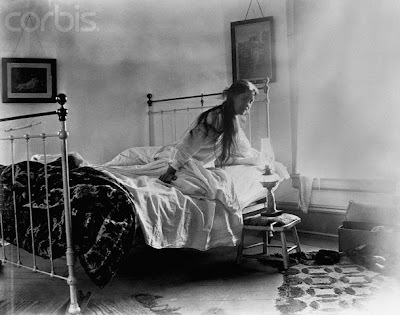 Here is a picture that I found while looking for pictures of dreams. 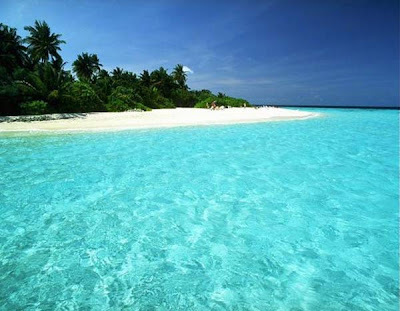 That is where Howard is right now. He is sitting on the sand right around the bend. And he has his laptop with him! All this time I have been wondering how he is able to accomplish all he accomplishes online. Howard comments on people's Facebook statuses and picks fights over politics and at the same time runs his business. All this time I have been wondering how he does it. Last night it was 100 degrees and I was at my mother's drinking red wine. I am with red wine the way I am with coffee. It is never too hot to drink it! It could be 150 degrees and I would still be sitting there drinking a glass of my Tisdale Cabernet. I am sorry, I would be. I made beef souvlaki for my mom. It was a hit! And all of a sudden I see my mom looking at me. And I realize: Oh, no! She does not like souvlaki! Well, the case was actually that she did not have much idea what souvlaki was but she was pretty sure she did not like it. I had thought she had eaten it. My mom and I like to go to the Wehrle Restaurant and my mom likes the spanokopita there. That is what we were eating, remember, when she told me what "schuft" meant. However. Just because my mother likes spanokopita does not mean she likes Greek food. I think it is generational. Leonard Pennario was like that too about some foreign foods. You could tease him about that. But I forged ahead yesterday with my beef souvlaki. And I lucked out because my mom loved what I made and ate it hungrily. It was this salad with cucumbers and this beef I had marinated in olive oil and lemon juice and oregano and -- shhhhh -- garlic powder and then done up in a skillet. I say the "shhhh" because do not tell my mother about the garlic powder. She is a German woman who was raised in Holy Name on Bailey and grew up on sausage and cabbage and if you throw garlic into stuff you do not tell her. She ate her lot with feta cheese and my homemade Greek dressing and she loved it. But wait, next time I want to make something like that, amnesia will set in and she will say, "Oh, no, I do not like Greek food." My mother unlike Leonard Pennario is like that about Wagner too. 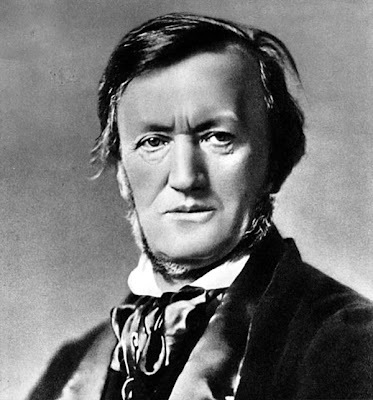 Wagner, the composer, I am talking about. Not Robert Wagner, the actor, who I might add has yet to get in touch with me for my book. There was one conversation my mom and I had about Wagner I will never forget. My mother said, "I don't like Wagner." I said, "Mom, you don't?" She said, "I just don't care for him." I said, "Mom, what about 'Meistersinger'? I thought you loved 'Meistersinger.'" "Oh, well, 'Meistersinger,' yes, 'Meistersinger' I love," my mother said. "But that is different." "But what about 'The Flying Dutchman'?" I asked. "You like that." "Oh, yes, I love 'The Flying Dutchman,'" my mom said. "I thought you liked 'Lohengrin,'" I said. Because how could anyone not like "Lohengrin"? "Well, of course I like 'Lohengrin,'" she said, looking at me as if I were crazy. "But Mom, what about 'Tristan'?" I prodded her. "Oh, I am crazy about 'Tristan!'" she said. On and on we went through all the Wagner operas and it ended up the only Wagner my mom did not like was the "Ring." I love the "Ring" but that is because I walk the Delaware Park Ring all the time. Just ask Howard. So I said, "Well, Mom, you like Wagner. Admit it." But ask her now and she will still say: "No, I do not like Wagner." 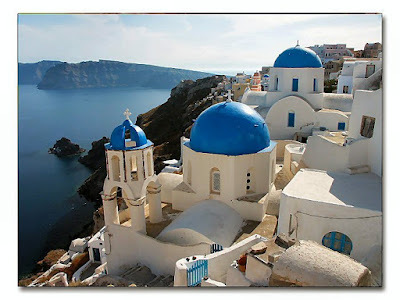 Just like next time I go over there it will be: "I do not like Greek food." Ha, ha! This is probably the only time Wagner and Greek food are mentioned side by side in the same context. Leave it to my mom! I am sorry but the farm is driving me crazy. You remember my farm. It is one of those Community Assisted Agriculture situations. You pay money in advance and then you get a bag of vegetables every week. Saturday the farm's newsletter said, "It is a miracle anything is growing in the ground." And they announced that their tomatoes had flopped and the season would be severely curtailed. OK, I thought, this has been a rough and rainy summer so far. That has been fine with me because, no hard feelings about sitting in the house for hours on end writing about Leonard Pennario. Plus fewer parties next door. These people had a party on Saturday and you could not even think. Howard said it was as if we were getting a new roof put on the house. Ha, ha! It was true! Well, the rainy summer may have been good for me but it was bad for the tomatoes. Tomatoes need sun. I understand that, blah blah blah. Lastnight I go over to my friend Gary's house. And Gary gives me a gigantic bag of tomatoes. He said, "I got so many I just got tired of picking them so I did not even pick all of them." 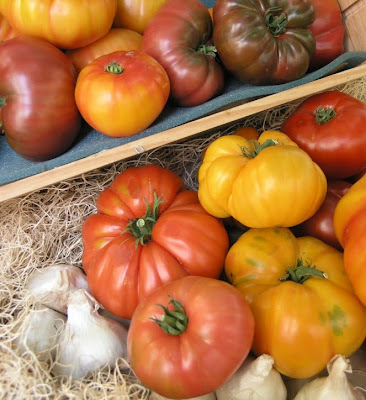 These are beautiful golden tomatoes and beautiful crimson cherry tomatoes. What is with this farm? I know when you do the Community Assisted Agriculture thing -- that is not the right term but I cannot think of the right term -- you share the losses as well as the triumphs. They love to lecture you about that. But does the emphasis has to be so much on the losses? I think they should take a few lessons from Gary. Whatever he is doing, he is doing right! Last night Howard and I went to see Jackie Jocko and the lounge was full of people in town to hear Father John Corapi speak at HSBC Arena. Darn, I should have dodged my garage sale-ing responsibilities and heard Father Corapi speak. Many times I have sat motionless at green lights listening to Father John Corapi talking on Catholic radio. He is a trip! What fascinates me about Father Corapi is he has seen everything and done everything and consequently he knows everything. That is what Jocko says is great about him. Jocko was pontificating freely in the lounge lastnight to everyone about that he knew John Corapi before it was Father John Corapi. Jocko knew him when Corapi was in charge of the Tropicana in Vegas. "He's a (Italian slur)," Jocko said. I am glad Leonard Pennario was not there to hear that! But Jocko is Sicilian and so he is allowed to talk like that. 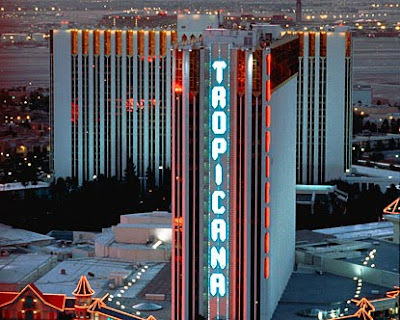 Jocko was the first show when the Tropicana opened and that was where he met John Corapi. That is what he told us as we listened wide-eyed. Here is a picture of Jocko with our friend Julie. 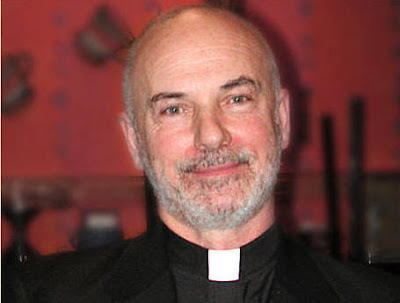 Here is a picture of Father John Corapi. I know, I should have figured they knew each other. Jocko knows everyone. The question is not whether or not he knows someone, but rather how and how long. At first Father Corapi got on my nerves on the radio but then once I tuned in when he was talking about his cokehead past, about how he made a fortune as a real estate hotshot in Beverly Hills and drove Ferraris but then got hooked on cocaine and lost it all. After that I was a fan. It was not really the story that grabbed me. It was how Father Corapi told it, which must have been something like this. Well, this clip covers only the second half of the story. But it gives you an idea of Father Corapi's personality. He is so funny and human and that is why I wish I could have seen him at HSBC Arena. The way he talks. Once on the radio he was talking about birth control pills and all the trouble they have led to. He started talking about it from personal experience. He said, I know that when I was leading that kind of life, if a girl was on birth control pills, then let the games begin! That "let the games begin!" killed me. I was in the car and I laughed out loud. Also,as you can hear in that clip, Father Corapi is like me in that he went back to confession after 20 years and he got a really old priest just the way I did. So we have that in common. Besides being a Beverly Hills hotshot and then a cokehead, Father Corapi was also a college football star, plus he was in the military for a while. So you just sit there and listen to him talk about football games he was in and guys he knew in the army and parties he went to and ways in which he drove his parents crazy. And when he is talking about being a priest it only gets better. Once, Father Corapi heard his own father's confession. That was right after he became a priest. Another time he had to deal with a coven of 13 witches. There was also a time when Father Corapi was summoned to the bedside of a dying mob boss and the mob boss wanted him to baptize him. I cannot quite remember how that situation sorted itself out. We will have to revisit some of these matters when October rolls around and we talk about the supernatural the way we did last year. Because of Father Corapi I know what prayer I should say for purposes of exorcism (the Our Father works well, partly because of the line that says "deliver us from evil") and whether or not Timothy McVeigh got last rites (he did). These are things people ask Father Corapi about and he knows. I wonder what he remembers of Jackie Jocko. I wish I could take him out for a beer and ask him! The few, the proud, the people who go garage sale-ing in 90-degree weather! Today I was among them. My mother and I and my friend Lizzie went to two street sales today. We were supposed to go to the sale being held by the Sisters of St. Joseph but we were too late because Howard had friends over and they were camped on my living room floor. Long story plus I wound up missing Mass for Assumption which I was hoping to get to. They had a 10 a.m. Latin Mass at my church and everyone was there but me. Me, I was cooking breakfast instead, up to my neck in eggs and flour! But that is a whole other story. Anyway, we got a late start, because of those people camped in my living room. 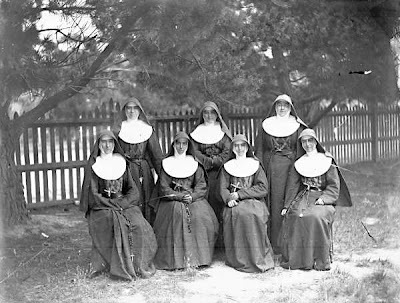 The Sisters of St. Joseph had already shut up shop, zut alors, even though it was not yet 2 p.m.! Plus, double zut alors, these other women we saw were loading things into the trunk of their car gloating about how great the sale had been and how the last hour had been a bag sale and that was why they had gotten all this wonderful stuff. Fie on the Sisters of St. Joseph! Well, after that the tide turned. We went to one garage sale where I bought four jackets and one dress. They were supposed to be $5 each and I asked if I could have all five for $20 and I was told yes! My mother overheard and she beamed to me, "I heard you bargaining." ...was proven to be a fraud. It was a fascinating story. Her husband taken other people's recordings and passed them off as hers. Probably this Gershwin recording was really Leonard Pennario's. I will have to listen and see. Then we went to another garage sale where I bought a flouncy white skirt and a halter top. Today was my day for clothes! We kept laughing because it was so ridiculously hot, and here we were schlepping from garage sale to garage sale with the sun beating down on us. I kept thinking I was going to collapse in the road, that was how hot it was. After that we went back to my mother's house where we ate peaches and my mother decided she did not like the coffee maker after all that she had bought for 75 cents. Lizzie inherited the coffee maker. She is going to put it in her workplace so all her co-workers will love her. Lizzie works in a jail! That will make a very interesting future for that coffee maker. Later today Howard and I went to Jocko. I was going to wear this one garage sale dress, the dress made out of silk with jewels attached, one of the dresses I bought along with the autographed picture of John Gilbert. But then I thought I would save that dress for the Philharmonic gala. Isn't that something, to sit there thinking, "This garage sale dress is too beautiful just to wear to the Hyatt. I think I will save this garage sale dress for the Buffalo Philharmonic Orchestra gala." These Saturday garage sales have changed my life! Today the Web log gets a scoop! Yesterday my friend Jane got a birthday card from the Mayor. That is Jane's birthday card pictured above. Also observe the picture visible in the background. It is my autographed photo of John Gilbert! 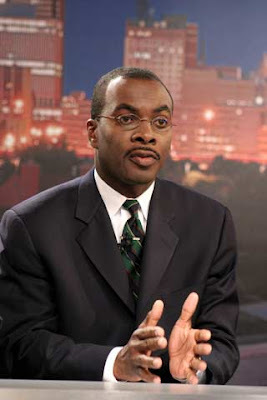 Here is a picture of Mayor Byron Brown whom we have been known to refer to from time to time. Here is a picture of the card's inside. How about that? There has not been such birthday excitement since it was Leonard Pennario's birthday and WBFO-FM talked about it! Who knew there was an official City Hall birthday card? It is fun how in Buffalo the Mayor is within reach. The other day Howard and I went to see the historic auctioning off of the Statler. And the Mayor was there! The Mayor is handsome and you get to shake his hand. He calls me Mrs. Goldman which I get a kick out of. This being Buffalo I got to stand around discussing the Statler situation with the Mayor. Not for work or anything. We were just standing around talking. Hizzoner and I agreed that Bashar Issa who was the former owner of the Statler was a good-hearted person and that Bashar had done the place no harm. I mean, the Statler is still here, isn't it? It was fun to discuss that situation with the Mayor. That is life in Buffalo. You get to talk to the people in charge. They might even send you a birthday card!